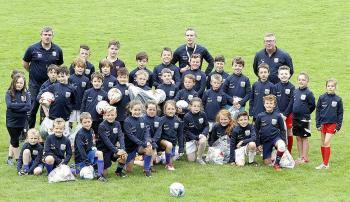 Thanks to everyone who attended our Mini Soccer presentation on Sunday. We had a fantastic response and hopefully we will be well represented at the Red High on Sunday October 2nd. Registration Forms and our Code of Conduct for Children & Young People can be found in the Downloads section of our website www.ballynagrossfc.com or by clicking this link: http://www.ballynagrossfc.com/contentPaâ¦/â¦/d_o_w_n_l_o_a_d_s . Please share this with anyone whose son/daughter may be interested in playing this year.